Due to its brand-new technology, the AVIATOR.GTX glove warms better, longer and with less weight. The maximum heating period is 20 hours. The high-quality lithium-ion batteries weigh a mere 50 grams (per pack) and are invisible and imperceptible within the glove. " Impulse Control" stimulates blood circulation to the fingertips. Using the function keys +/- on the upper-hand side, one of three heat settings can be selected and are shown on the leds. The batteries offer high performance even under extreme temperatures and are waterproof as well as shock-resistant. The supplied charger recharges the batteries over night. GORE-TEX ensures dry hands. The well known Heat.GTX fingered-gloves are being joined by the new gloves for aviation - the AVIATOR.GTX. The ZANIER Heat Technology is based on advanced textile heating elements and a unique control system. The robust Lithium Ion batteries that weigh just 60g (per pack) provide heat at 3 different levels for up to 20 hours. They are invisibly concealed in the collar of the glove and you can hardly feel them. The glove's heating is easy to operate with a single switch on the upper section of the hand. The flame-shaped LED lamp displays the selected level of heat (yellow, orange, red). The supplied charging unit charges the batteries up again overnight. The glove heating unit is robust and resistant to hard impacts. The model can also be used without heating. In general, top materials are only used: finest goats' leather; 4-way-stretch for comfort; soft, light-weight and warm ZA-loft insulation; Gore-Tex® membrane for dry hands. • Double the heat duration of Heat.GTX, as two battery packs per glove supply the heating unit with energy. This means the AVIATOR.GTX can provide up to 20h of warmth. “Impulse Control” stimulates blood circulation to the fingertips. The buttons on the back of the Heat.GTX glove are used to select one of 3 different heat settings. The current setting is shown by a lit LED. The rechargeable batteries offer high performance even under extreme temperatures, are powerful, waterproof and shock-resistant. The charging unit provided recharges the battery in ~7 hours. Gore-Tex® ensures maximum breathability so your hands stay nice and dry. 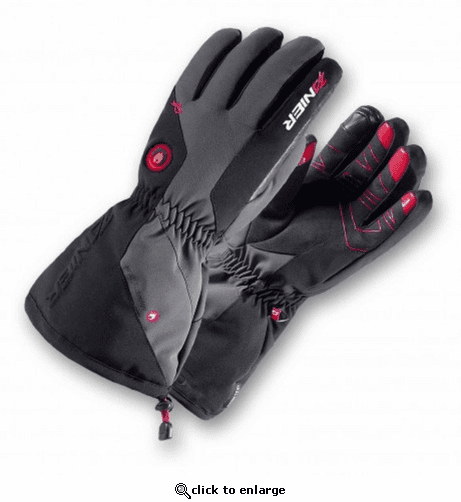 ZANIER develops winter sports accessories in close cooperation with the consumer-to-be, with outstanding athletes. Our products have been developed and tested in the heart of the Dolomites – this makes them authentic and true. We are proud of our cooperation with pro-riders! Their feedback is important for the product-development. Technological progress, innovation and competence are foremost concerns for ZANIER. It hasn't been cold enough to really try them yet but the quality seems really good. The instructions could be clearer on the battery charging because it seems like you can only charge one glove at a time. 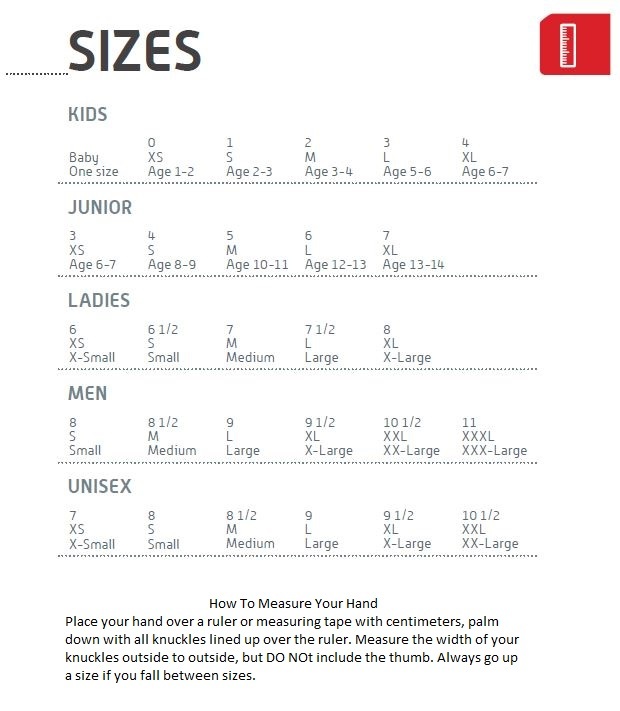 I ordered the XXL based on the fit chart and the hand fits well but the glove fingers are longer than mine are so it makes handling smaller items difficult. In a week or two we wil see how they work in the cold. I have had these gloves for one week now and I am very pleased with them. I was hesitant to spend this much money on a pair of gloves - but it has been money well spent. I am able to do barn chores for hours in the bitter cold without cold fingers! I was concerned about the bad reviews I saw online for the Warming Store, but I went ahead and ordered a fairly expensive product anyway and crossed my fingers. I was happily surprised that my order arrived ahead of schedule and was exactly what I was expecting. Very happy with my electric gloves. They lasted me all day skiing even when set on the medium setting. Highly recommend them.